Kids’ luggage has gotten really cute. The best options are useful for parents, too. We do a lot of traveling with our little girls, from quick weekend road trips to cross-country flights, and I can tell you from experience that getting all those itty-bitty important items into one or two big, “family” suitcases is a legit nightmare. Now that our older daughter is big enough to have her own seat and enjoys some light responsibility, letting her tote her own little suitcase is good for everyone. She even likes to help me sort and pack her clothes, stuffed animals, and toiletries for every trip. The whole process is, naturally, made more fun by super-cute luggage that she can take with her on board. 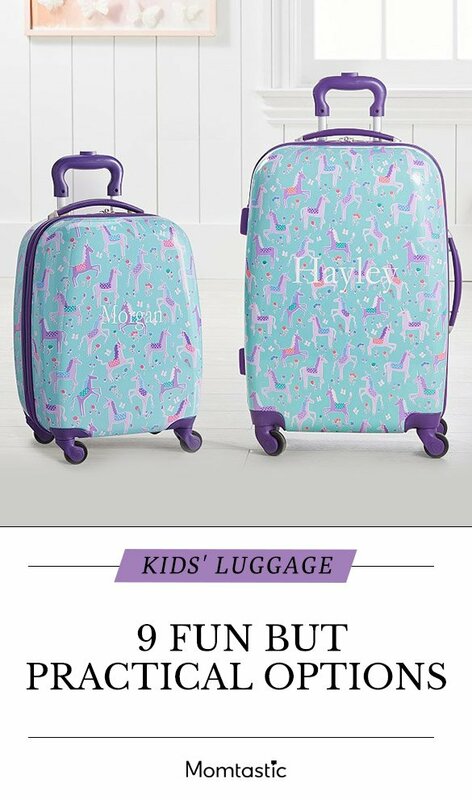 Looking to buy some luggage for kids? Let these top picks inspire you.